Prof Roderick Ørner is Consultant Clinical Psychologist in private practice and visiting professor of clinical psychology at the University of Lincoln where he was awarded his PhD in 2005. His clinical experience comprises of specialist assessment and therapy for adult patients especially following exposure to traumatic events in the maritime industries. Dr Josie Solomon is the Deputy Head of the School of Pharmacy. Her research focuses on bridging the gap between evidence-based policy and the lived experience of patients – the interface between science and humanity. In her previous role at De Montfort University, Josie led the Postgraduate Clinical Pharmacy Department and set up an MSc in Medical Leadership, Education and Research in partnership with Health Education England. 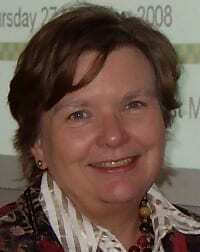 Prof Sara Owen is Deputy Vice Chancellor (Academic) at the University of South Wales. Her research interests include women and mental health, evaluation of education and training and mental health workforce issues. She is currently working on an EU funded project implementing and evaluating E learning accreditation to reduce educational stress in employment. Prof Steve McKay is a Distinguished Professor in Social Research in Faculty of Health and Social Sciences, and joined the University of Lincoln in April 2013. 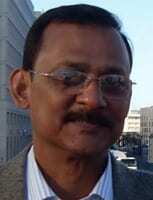 Between 2007 and 2013 he was professor in social research at the University of Birmingham, where he was also Director of the ESRC Doctoral Training Centre from 2010. Prof David Mullineaux was appointed as Professor in Sports Science with a remit to shape the research agenda of the University of Lincoln’s rapidly-emerging School of Sport and Exercise Science. David has made several transitions between academia and industry in the UK and USA gaining experience of teaching, consulting and researching in biomechanics and research methods. Jo Middlemass is a visiting fellow in CaHRU and the School of Health and Social Care. Her research involves exploring long-term conditions for older people. Dr Adele Langlois is senior lecturer in the School of Social and Political Sciences. Her research is focussed on the global governance of bioethics and genetics and more recently, with CaHRU, on the ethics of ambulance trials funded by the Wellcome Trust. Ros Kane is a Principal Lecturer in College of Social Science. She is a member of both the Community and Health Research Unit (CaHRU) and Mental Health Research Education & Development Group (MHRED). With a background in nursing, Ros later graduated from University College London (UCL) with a BSc (Hons) in Anthropology and Geography and from The London School of Hygiene and Tropical Medicine (LSHTM) with an MSc in Medical Demography. 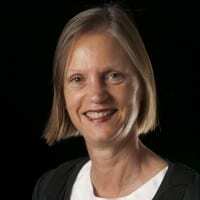 Dr Jacqueline Allen-Collinson’s principal research interests cohere around the sociology of the body; embodiment and the senses; health and wellbeing; identity and identity work; sociological & feminist phenomenology; autoethnographic & autophenomenographic approaches. She has worked with CaHRU on studies of the sociology of asthma. 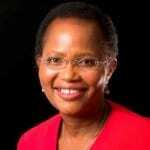 Dr Milika Ruth Matiti is Senior Lecturer in the school of Health and Social Care. Her Research interests are Patient dignity, Diversity, Inter-professional Education. 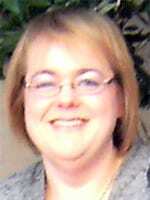 She is currently co – leading and developing inter-professional education in Lincoln University. Co- edited a book: Dignity in Health care: A practical Approach for nurses and midwives. She has published and presented nationally and internationally. Dr Adam Evan’s research focuses upon studies of health and embodied experiences from a sociological perspective. He is now based in Copenhagen, Denmark and is a visiting academic at Lincoln where he supervises several postgraduate students and contributes to research groups including HART. Ana Godoy Caballero is lecturer in health economics at the University of Extremadura, Spain and a visiting fellow at CaHRU with particular interests in the economic determinants of variations of quality in primary care and patient reported outcome measures. Anne Spaight is Head of Clinical Governance, Audit & Research at East Midlands Ambulance Service NHS Trust. 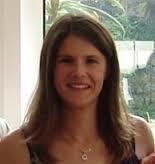 She has worked with CaHRU on a range of prehospital research studies. Deborah Shaw is a visiting research fellow at the University of Lincoln and Clinical Audit and Research Manager at East Midlands Ambulance Service NHS Trust. She has been national co-ordinator for the Ambulance Clinical Performance Indicators. Her interests include qualitative pre-hospital emergency care research and quality improvement. Mohammad Iqbal is a visiting research fellow and PhD student at the University of Lincoln and Research Associate at East Midlands Ambulance Service NHS Trust. His interests include quality improvement in ambulance services, particularly focussing on assessment and management of prehospital pain. 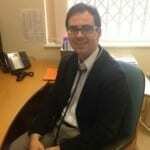 Head of research and innovation at Lincolnshire Community Health Service NHS Trust. Janice has over 20 years combined nursing and research experience within both primary and secondary care, having specialised in oncology, managing the team to ensure research continues to grow and improve across Lincolnshire. Ian Trueman is a Principal Lecturer in the College of Social Science, School of Health & Social Care at the University of Lincoln. He has an MSc in Palliative Care and has a number of publications around palliative and end of life care and has presented at national and international conferences. His current research interests focus on the role of Community First Responders in the prehospital care setting. Dr James Cowling is a front line GP and GP educator specialising in the practical application and evaluation of connected healthcare solutions. He has clinical and academic experience of innovative digital health interventions at patient, provider and strategic levels. James is utilising his experience in this area as a clinical advisor to healthcare commissioners and policy makers at local and national levels.